Great writers often insist the best way to improve your writing is to keep practicing your craft. We all know that devoting time to writing is at least half of the effort, but how do you make the time to write? It’s easy to say that you’ll get to it when you can, but for too many writers that ends up never happening. In need of a push to find time to schedule your screenwriting? Here are some classic tips that will help you crank out those some-day award-winning first drafts. Whether you are hoping to finish your movie-length drama script or just want to write a one-act play, setting reasonable goals can help you finally finish any writing project. 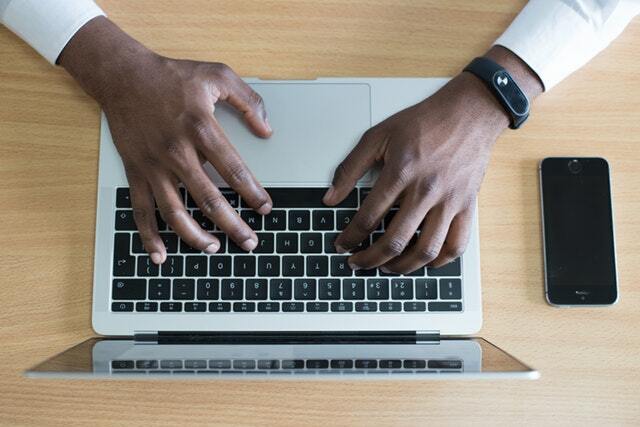 While free-writing is fun and great for generating ideas, having short and long-term goals can ensure that you finish your creations and beat writer’s block. Your goals can be based on an amount of words per day or how long you should devote to writing daily. Make sure you set yourself a goal that is specific, and doable! Routine is a writer’s best friend, believe it or not! Even writing for a little as five or 10 minutes a day can help keep the ideas flowing. This technique works best when you set your writing time the same exact time per day. If you are most alert at 8 a.m. then write at 8 a.m. If you like to write at night, then write at night. No matter what, keep it consistent for the best results — and write every day! Think about all of the time you spend waiting at the doctor’s office or before a class starts. You have a lot more spare time than you might think! If you take public transportation or carpool often, spend the time of the ride writing down your latest ideas and drafts. Jot down some dialogue ideas when you overhear interesting snatches of conversations around you or see something inspiring. For the nights when you come up with your next brilliant idea just before you go to sleep, keep a notebook on your nightstand to capture the ideas before you drift away to dream. It’s tempting to tell yourself that you can just write your next script while passively watching television, but let’s be honest: you probably will end up not writing at all. Instead of trying to cram writing in alongside other activities, carve out an oasis of space and time strictly for your writing. Once you’ve found the perfect spot, play your favorite music or write in total silence. Just like keeping a consistent goal and time for your writing helps you dedicate time and mental clarity to writing, creating a writing space strictly for writing will help you eliminate distractions. Do not allow your cell phone or pet to interrupt your flow! Soon you’ll be looking forward to shutting yourself away to create new scripts every chance you can. While making time for writing is important, having a support system to help you grow unleashes your fullest potential. The New York Film Academy immerses screenwriting students in an interactive curriculum. From small writing workshops to teaming up with filmmakers, the program is perfect for taking talent to the next level. Script coverage, it’s been said, is one of those things about the film industry that nobody really learns about until they’re actually in the industry. Usually you’re introduced to script coverage at your first gig, or even internship, by way of your boss or higher-up handing you a script (or a PDF these days) and a Word document containing the script coverage template from the lucky person who wrote script coverage before you got there. So, it’s fair to surmise that most people who write script coverage, or read scripts for a living, probably learned from reading the script coverage of their predecessor at a production company or studio or agency — each of which, by the way, has its own unique way of doing it. Does the script coverage include a synopsis? How long of a synopsis? A critique section? If so, is it free-form, prose critique, or is it a series of boxes to check off and score, like “Plot,” “Character,” “Conflict,” etc.? Is there an analysis grid? Does it include a logline? Up top, does it indicate the writer’s name? The submission date? Does it indicate who submitted it? Script coverage saves a producer, agent, or otherwise busy film industry “somebody” from having to read the actual script. In other words, script coverage is a glorified “book report” of a screenplay or teleplay, designed to provide “the skinny” about a script, in order to save someone higher up from having to read the actual script. In the past, generally pre-1996 or so, script coverage was an in-house thing only. That is, the only entities doing script coverage were agencies, production companies, studios, and producers. Script coverage was an internal document designed to stay internal, and not necessarily get back to the screenwriter whose script was covered. But with the rise of the internet, script coverage became available as a tool for screenwriters and filmmakers, who could use to improve their screenplay. For a price. Script readers were no longer only to be found in agencies and studios and production companies, or working with name talent. They were now taking their trade online, and exchanging their time and critical chops for money. So now there’s a virtual cottage industry of script coverage companies spanning the internet, ranging from the good to the bad, from the expensive to the cheap, from professional work to hatchet jobs. Traditionally, receiving script feedback on one’s own screenplay — feedback of any kind — has never been a super easy endeavor. 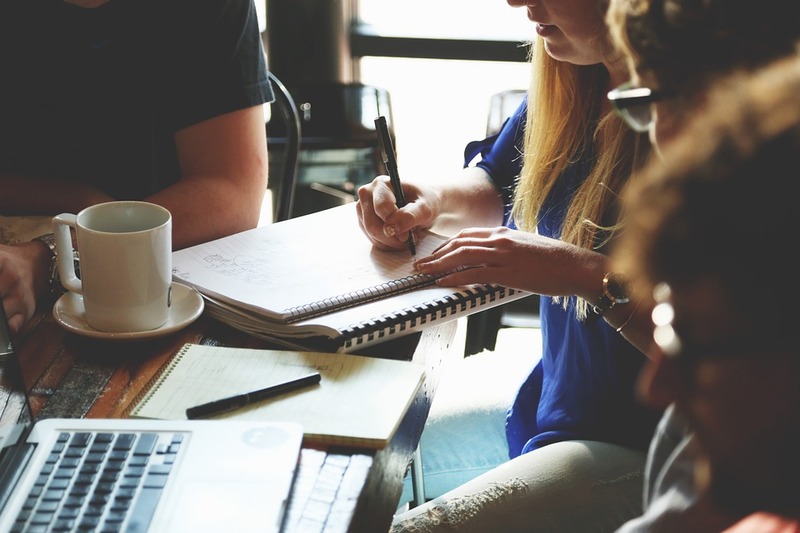 Prior to paid script coverage services, a screenwriter would generally rely on her writer colleagues, writers group, mentors, or friends and family, to provide her with insight into her work. But with the rise of the world wide web also came the rise of online meetups and writers groups and screenwriting forums. Now it’s more accessible than ever to find communities and like-minded folks to help you with your screenwriting. And standing shoulder-to-shoulder with all those methods and options, free and otherwise, is the service of paid script coverage. Full disclosure: I’ve run the script coverage service Screenplay Readers since 1999. But while I’m a huge advocate of paid script feedback for my own writing, and am a huge fan of it because it’s my business, I have to make one thing super clear: I’m an even bigger advocate of getting as much free feedback on your work as possible before paying for any script coverage. Biggest Benefit #1: It gives your script a “dry run” for the real submission process. 90 times out of 100, or even more frequently, if you’re sending in your script to an agency, producer, or production company, your script isn’t getting read. An immutable fact of the film business since time immemorial has been that everybody wants in. And I mean everybody. And everybody thinks they can write a script. 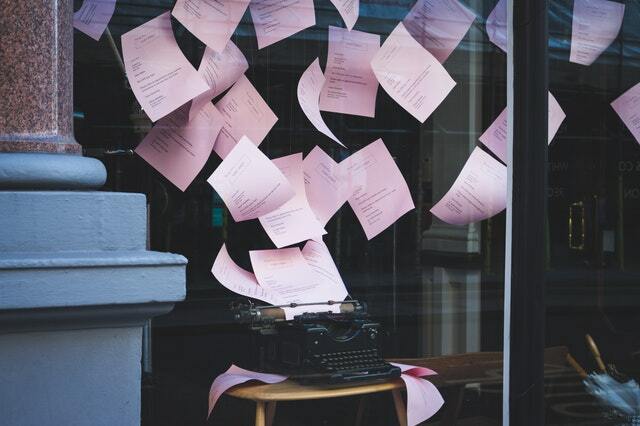 The result is studio and agency inboxes are crammed with spec scripts from unknown writers. Heck, many are crammed with spec scripts from known writers, both regularly employed and underemployed ones. There’s just. Too. Many. Screenplays. But for those lucky few who do get their scripts read, you, the screenwriter, will likely never read the script coverage that script readers writes about your script. So you’ll never know what criticisms that script reader had, and you’ll never have a chance to address them, or an opportunity to make those changes or fixes that could make the difference for a future script reader. By paying for script coverage from a reputable screenplay coverage company, you get to read the coverage. You get to soak in all the criticism, good and bad, all the details, all the big-picture notes the script reader had, any and all concerns with the script finding an audience, you name it. Biggest Benefit #2: A person you don’t know synopsizes your script. Nearly all script coverage includes a synopsis section, where the person reading the script boils down your story into a page or two, listing just the major beats and developments so that the person reading the script coverage later can get a good idea of what the actual story is. And the best part of that is that it doesn’t even matter if the script reader gets your synopsis “right.” That is, if they get all the beats of your story down pat, and the synopsis is spot on, you win because you know your material is clear and your story is coming across. But even if they get it “wrong,” weirdly enough, you still win because you learn which parts of your script aren’t making themselves clear. A “wrong” synopsis beat gives you a chance to zoom in on that beat and make it clear. Better yet: make it idiotproof so that it’s unmissable to all but the most sloppy of readers. There’s a key reason that aspiring screenwriters are the second most common film industry folks stepping off the bus and trying their hand at the grand ole Hollywood film industry. That key reason? Screenwriting is cheap — that is, the bars to entry, the expenses associated with giving it a try: they’re low. All you need is a laptop, some free screenwriting software, and some imagination. Don’t get me wrong: Talent is still vital, and skills take time and money and resources to hone, but the bare bones bar to entry for simply giving it a try is low. Now compare that bar to entry for aspiring cinematographers and directors, where you kinda need to have a not-small pile of expensive gear, or a film or two under your belt. 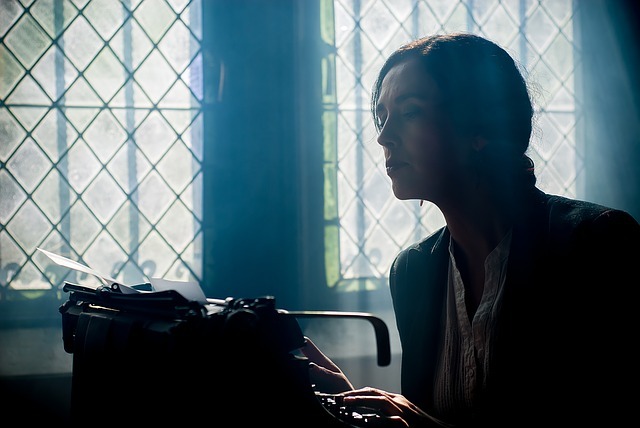 Because screenwriting is such a relatively inexpensive craft to try your hand at, it stands to reason that there are vastly more low-income aspiring screenwriters than there are middle/upper-income aspiring screenwriters. So that means, for the majority of aspiring screenwriters, paying a script coverage company for feedback may be out of the question. Plus, many aspiring screenwriters decide that it really makes no sense to pay for coverage if they’re just a few clicks away from an online writers group or a writers meetup that can provide feedback and help them grow as artists in many other ways — not the least of which is in social connections which may pay off later. Biggest Drawback #2: Anonymous readers. Script coverage companies, by and large, work with mysterious readers who you know nothing about, and the company’s not telling you. My company and a few others break this rule, posting names and bios and pics of our team on our site. But by and large, if you’re paying for script coverage, you’re likely going to have your script read by a reader you know nothing about, and whose qualifications are a mystery. On the one hand, not knowing who your reader is can cast some doubt on the integrity of your notes, sure. But on the other, it might not actually be all that bad; Consider that if you ever send your script into a studio or agency, you’ll probably never know the identity or qualifications of anybody reading your script at those places, either. Still, when receiving feedback on your screenplay, knowing who’s doing it, what their background is, and what their qualifications are can count for a lot. So what does it all mean? Well, I can only tell you what it means for me. For me, it’s awesome to get super-focused, super-detailed feedback on my work, as screenwriters can only grow — in my opinion — with copious feedback. But paying for script coverage isn’t for every screenwriter, especially those who just don’t have the resources. I believe in what we do at my script coverage company, and I believe in the quality of the script feedback we’re providing our customers, absolutely. But I also believe in the importance of networking, and writers groups, and collaborating with other writers on other projects. Without those things, without those people, I wouldn’t be half as a good a screenwriter as I am now. We see gender inequality in film all the time, but where does it start and how can we work to eliminate it? Screenplays often implicitly or explicitly suggest flat female characters valued for their looks alone before shooting ever begins. Here are a few tips to help you avoid stereotypes when writing your own scripts and foster gender balance on-screen. 1. Introduce your female characters as you do your male characters. It may come as no surprise that female characters are often introduced in a screenplay with their appearance front and center, while their personality traits coming a distant second (if they appear at all). This is not generally the case for male characters, whose intros tend to be longer and more interested in an inner life, which will, in turn, justify their motivations and prepare for the forward momentum of the plot. 2. Give female characters names. 3. Write with an eye to gender balance. Giving generic characters female names by default can also help to close the gender gap in films. According to See Jane, the Geena Davis Institute on Gender in Media, only 10 percent of films have a gender-balanced cast, so assigning lines of supporting dialogue to “Carla” instead of “Neighbor” or “Mike” can help ameliorate the dominance of men on a set. Even making a note in the script that a crowd should be half male, half female can help remind casting directors that the crowd should accurately represent the human population. 4. Allow women to age along with the menfolk. We might tend to blame casting directors for the virtual nonexistence of women over 50 onscreen, but the truth is that many screenplays stop the conversation from the start by specifying the age of women to be 20-something, 30-something, or 19, when oftentimes the male opposite doesn’t have his age specified. Though we are talking here about sexism in screenplays, many clichés regarding race, sexual orientation, and disability can also be addressed in a similar fashion. You may be surprised how much more interesting your script will be when you think about rounding out flat characters, and how it may help your project stand out in the eyes of producers who must wade through countless clichés to find fresh and compelling stories. Learn more about screenwriting at the New York Film Academy. 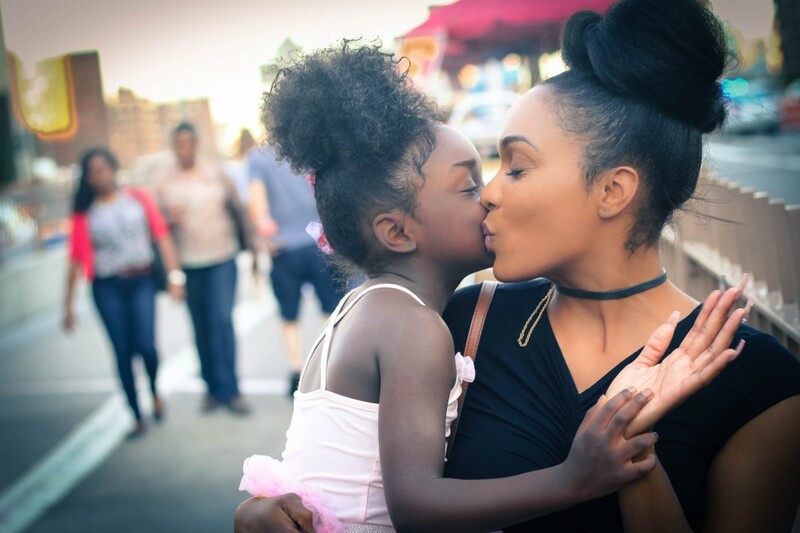 While discussing her experience at New York Film Academy, NYFA LA screenwriting student Janet Odogwu Butters stated, “When I first came out here, I thought I was going to learn how to write, but NYFA taught me how to be a storyteller.” Every film, be it fiction or nonfiction, documentary or action, begins with a script. Creating a feature film is certainly a collaborative effort but the script provides the bedrock on which every feature film is built. The contributions of actors, cinematographers, and even special effect technicians all depend on the story line that the script creates. Which is why aspiring screenwriters can benefit from taking screenwriting workshops to help them hone the craft needed to write a cinematic script. Here are 4 ways screenwriting workshops can help you hone your craft. 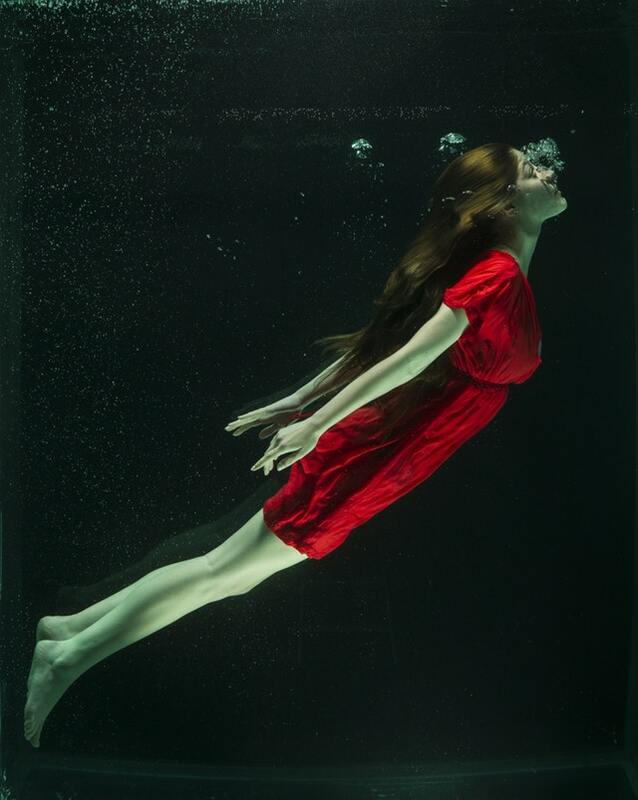 With a screenwriting workshop, you will be fully immersed into the screenwriting experience. The workshop will focus on your own screenplay, as well as the works of other students in your class. Your workshop will be spent writing, thinking about, critiquing, fine-tuning, and learning about screenplays. With so much focused attention, you’re sure to come away with new insights and skills. 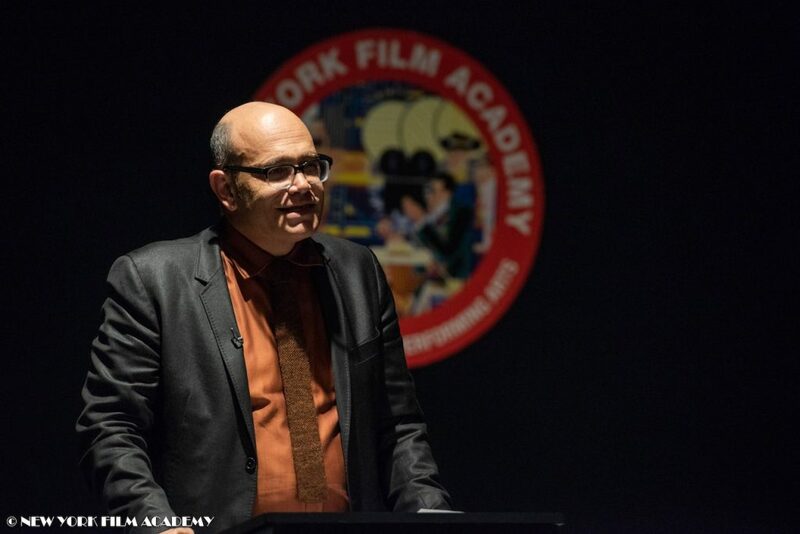 New York Film Academy offers screenwriting workshops of different lengths to accommodate all schedules, such as two-days, eight-week, 12-week, and more. Whatever the duration of your workshop, you’ll receive focused, hands-on, immersive instruction from working industry professionals. NYFA even offers online workshops for those with the most packed of schedules. Screenwriting workshops will not only teach you how to create a great script, they will apply that knowledge to the script you are working on. These workshops will convert theory into practice. Each students will receive specific feedback on their work that will aid them in crafting the best script possible. The workshops are taught by exceptional staff, such as Paul Brown (“X Files” and “Twilight Zone), whose 2-Day Weekend Workshop is attended by writer, directors, and producers, and actors. 3. They force you to write. Writer’s block can be the bane of any screenwriter. 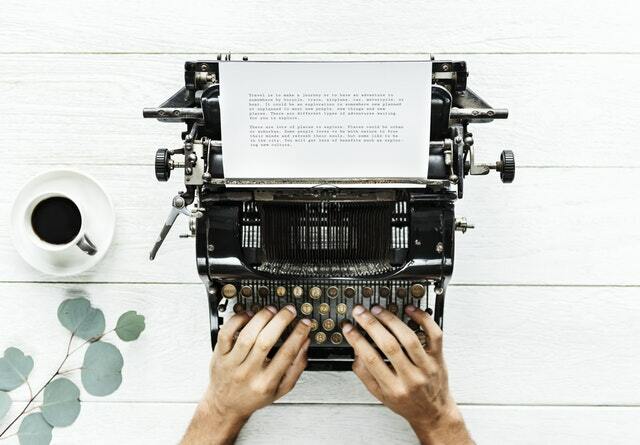 While there are techniques to break that block, most writers know the best way is to just start writing – whether the content is good or not. Workshops can force you to take that first step, with their rigorous curriculums and strict deadlines. 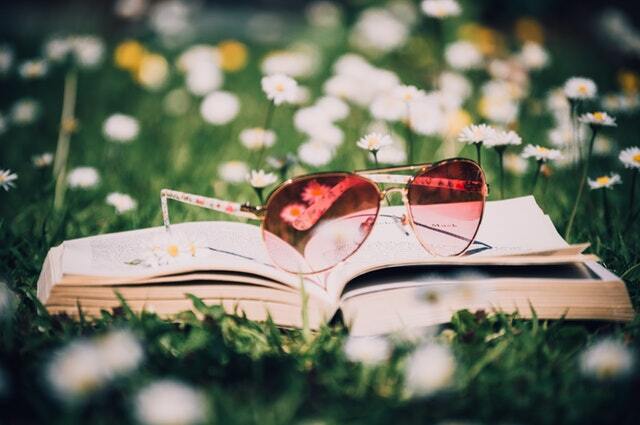 What you write may not be your best (you may even want to delete it and start all over), but the workshops begin the process for revision and show you how you can pull something out of anything you write. 4. They cover multiple topics. 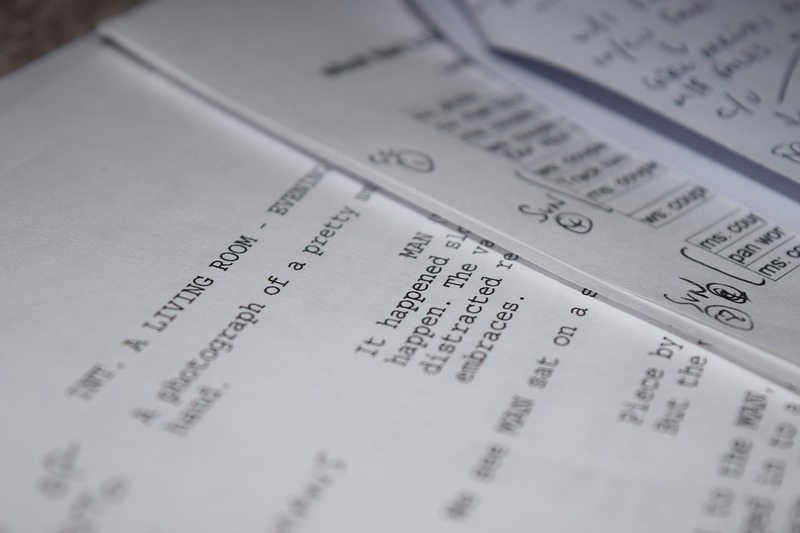 The workshops will not just focus an aspect of your script that you think needs improvement. They will cover multiple topics so that you can learn new techniques while improving your own script. Topics they will cover include character arcs, dialogue, conflict, flashbacks, genre, voice over, subtext, and dramaturgy. The online workshops go even further, offering workshops with specific themes, like Screenplay Rewrite Workshop, Television Pilot Workshop, and Writing for Comic Books Workshop. Whether you are a new screenwriter just starting out, or a professional looking for feedback on a project, the workshops in the Screenwriting School are an invaluable resource. 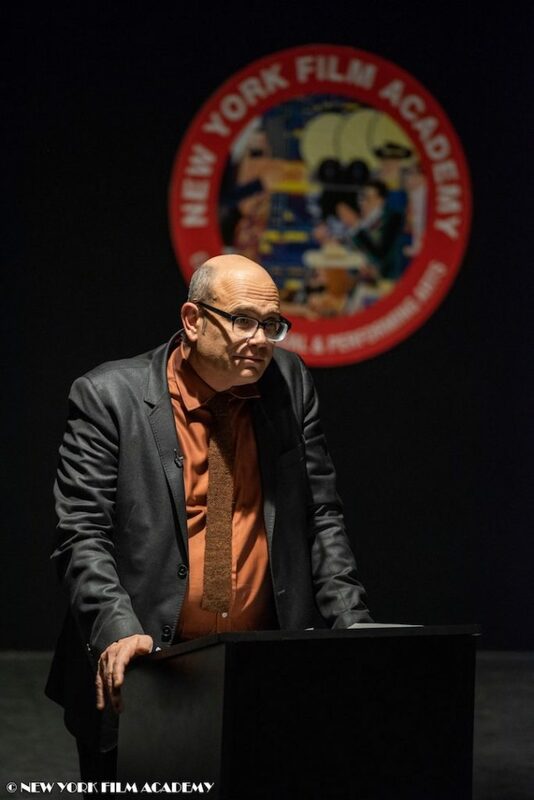 The Screenwriting School at New York Film Academy offers a plethora of classes, such as Genre Studies, Business of Screenwriting, and Revision Class. While taking classes is vital to your education as a screenwriter, there are other ways to improve your skills. The school’s screenwriting workshops offer a unique experience for screenwriters and will further your skills beyond the classroom. Visit the New York Film Academy Screenwriting School page and find one that works best for you. That’s the easy part. Next comes the part where you sit and finally write down that brilliant idea. Ready to see how a workshop can take your writing to the next level? 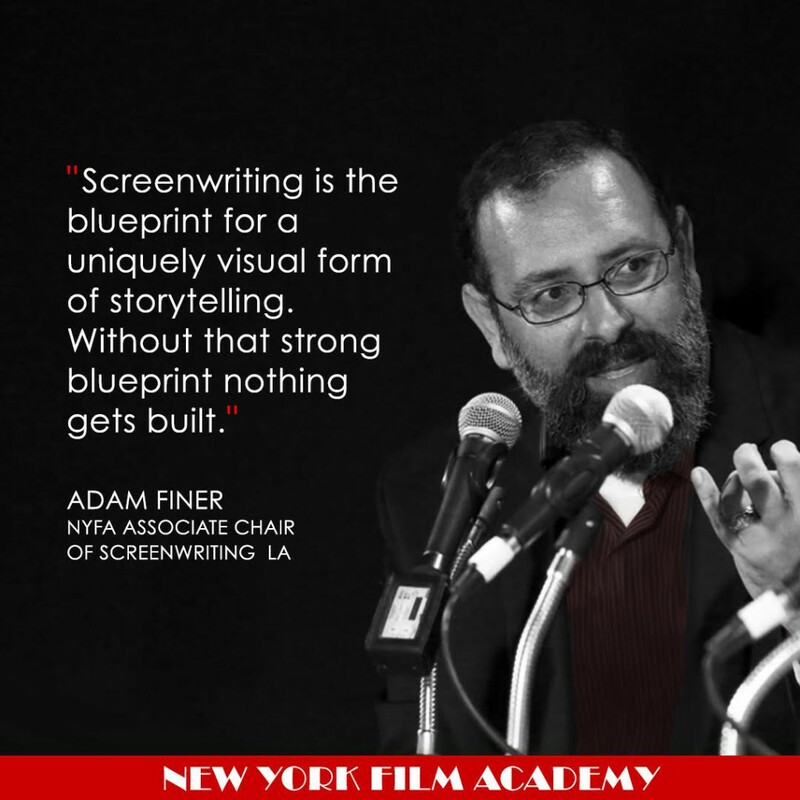 Check out our screenwriting workshops at New York Film Academy! So in order to successfully write a scene for a screenplay, it’s important to remember that less is more. By that, we don’t mean less description is more. We mean that less wording in your description is more. For example, let’s try describing a scene in which a character enters a hotel room. You may be tempted to describe it as vividly as possible. When writing a script, it’s helpful to also imagine which crew members will be reading the script and what information they will need to bring the script to life. This sounds like a pretty descriptive text. You can picture it in your mind, right? The actor, director, and camera and lighting crew have a lot to work with here. But if you were the costume designer, what clothes would you use for this scene? If you were the set designer, what sort of objects would be in the room? How much do they have to work with? Let’s break it down and format all these details like a script. INT. 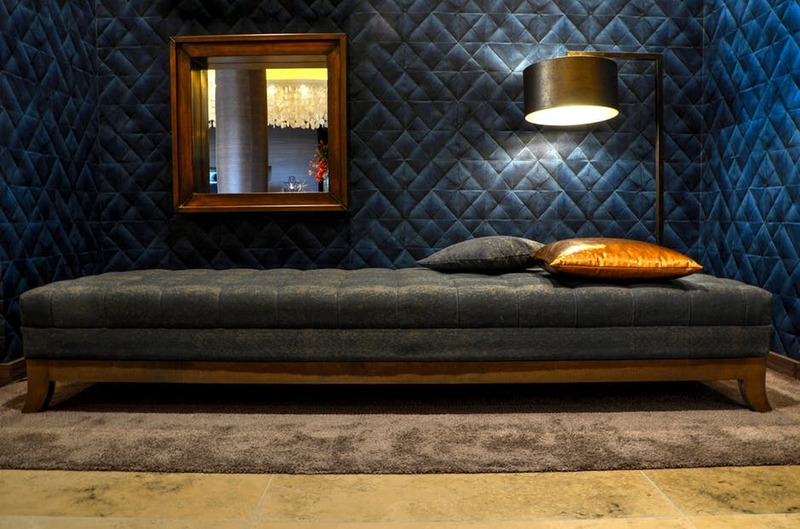 HOTEL ROOM – NIGHT. SUSIE (42), a Connecticut neurosurgeon, enters a mostly bare HOTEL ROOM. Bible on the dresser. Notepad on the desk. Empty boxes in the corner. Broken, she is dressed in black. When Susie enters the room she places a funeral program down on the table. Outside the window is a NEON BLUE sign. I’m driving to Kansas tomorrow. Writing your scripts like this gives ample descriptions that everybody in production can work with and properly sets the tone for the remainder of the scene. We won’t know unless we’ve seen Susie previously that the funeral program belongs to her brother. But that’s okay. We can learn that later. From here, the director, director of photography, actor, costume designer, art director, and set designer have enough to work with in order to bring the scene to life. Saying more with less is a skill that can take time and practice to master. If you’re interested in learning more about how to write and break down a script for production, visit the Screenwriting Program at York Film Academy. Novels are terrific, but there’s something about the silver screen that transforms great ideas into pure theatrical magic. And many incredible films exist because a screenwriter was inspired to adapt a story from another medium. Today, we’ll look at how you can tackle this process yourself. But finding your inspiration is only the first step. Here are some crucial tips to keep in mind as you adapt your screenplay. 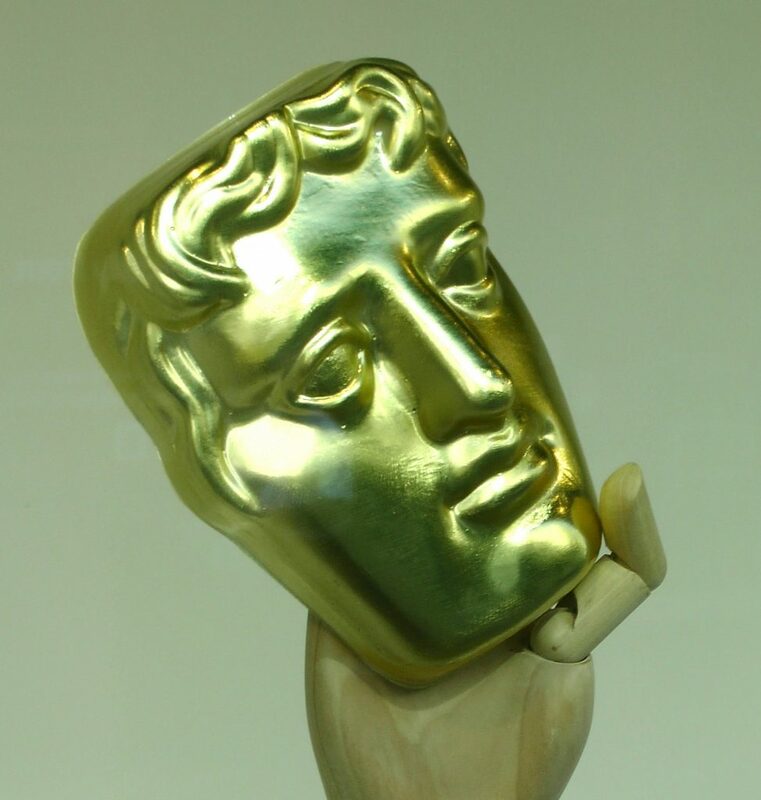 First, understand that the adapted screenplay is an artform, with many great examples to look to for inspiration and insights on craftsmanship. But literature doesn’t have to be long to inspire a film. “Story of Your Life,” a science fiction short by Ted Chiang, was recently adapted into the Golden Globe and Oscar-nominated film “Arrival.” And the Oscar-nominated 1939 classic “Gunga Din” was based on a poem of the same name by Rudyard Kipling. Sources for adapted screenplay material don’t have to end with books, plays, and poems. Need we mention all the films successfully adapted from comic books? Your first step is to learn the source material inside-out, identify the main characters, and trace out their story lines. Passion for the story is the most important driver behind adapting a novel into a screenplay. You can make a list of key characters, crucial scenes, and major themes, but don’t get bogged down in the minutiae. Remember: your goal is to tell this story as a film, and you’re looking for ways to drive the action forward. This is your brainstorming phase. Draw charts or diagrams. Storyboard. Write lists. 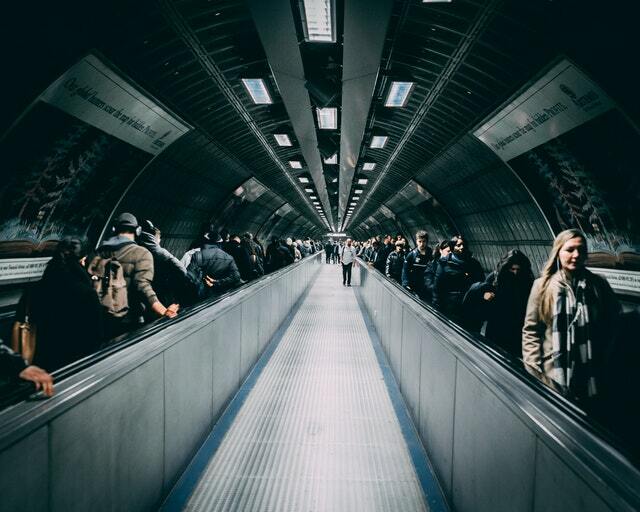 Do whatever it is that helps you connect the dots in your own brain as you begin to shift your mind from interacting with this story as consumer, to becoming the storyteller. Your job at this phase is to organize your source material and begin to identify the shape your story will take on screen. Sometimes you have to shed subplots or minor characters in order to keep the story rolling along. Or, use your imagination to fill in gaps. After all, you’re adapting one story form into another, and it has to fit into the structure of a 120-page screenplay. Think of The Harry Potter series, and how screenwriters had to carefully curate which characters and subplots could participate in the the story of a two-hour time film. This can be a hard judgment call, so how will you know when to change something? 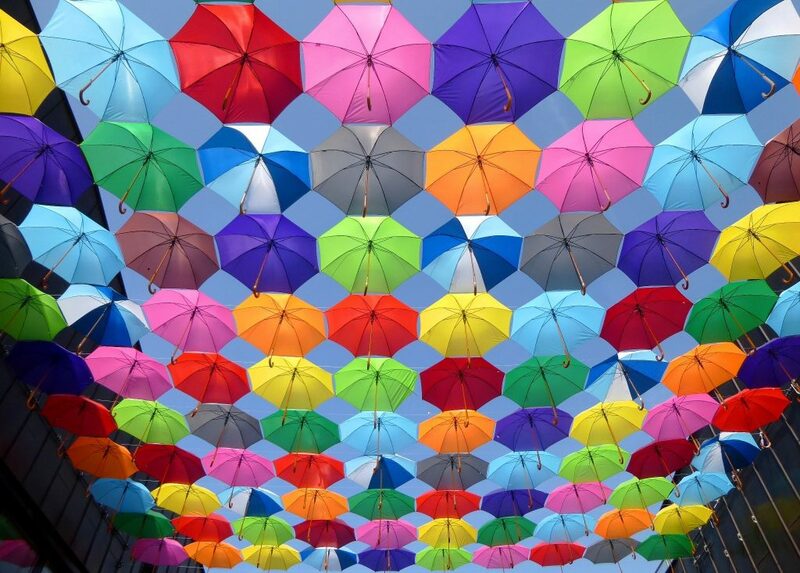 A good rule of thumb is that if it doesn’t drive the story forward, you’ll have to change it. It’s ever-so-tempting to translate those beautifully written sentences into voice-overs, but you must resist the urge! Remember that your audience wants to see the story and not hear it; they can hear the story on tape in Grandpa’s 1986 Chevy truck or download it on iTunes to listen at the gym. As a screenwriter, you know that you’re speaking a visual vocabulary. If you must use voice-overs to tell your story, limit it to the best lines in the book. adapting it for the big screen! What are your favorite adapted screenplays? Let us know in the comments below! 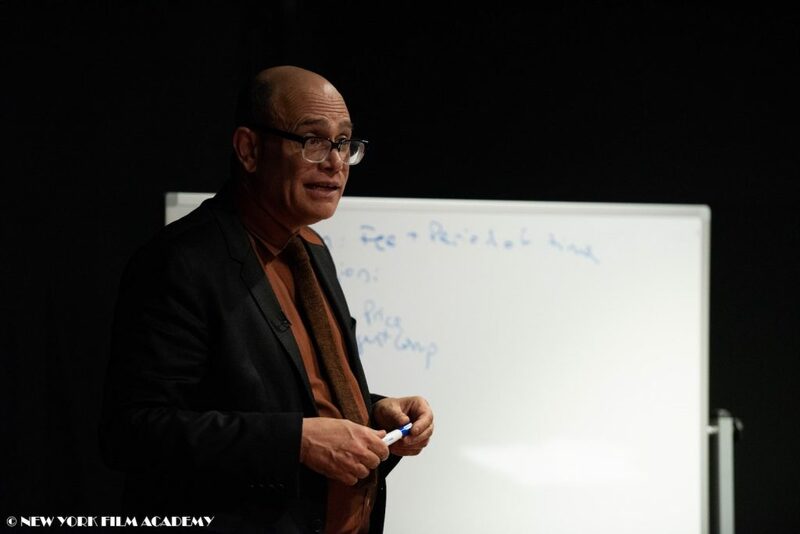 Learn more about the craft of filmmaking at NYFA’s Screenwriting School. Writing dialogue that is believable and natural can be a challenge. Each character in your script should sound distinct and different from the other characters. What they say needs to be important to character development or to advance the plot, but it can’t sound contrived. Above all, it has to be entertaining. Take a look (and a listen) to some of the silver screen’s masters of dialogue writing for inspiration. Below, we’ve rounded up some great scenes for you to watch for inspiration along with some great writing exercises. If you’re feeling stuck or simply want to flex your writing muscles, give these scene/exercise combinations a try! Without a doubt, Quentin Tarantino has a flair for writing memorable, quotable dialogue that is simultaneously intense, insightful, and often laugh-out- loud funny. It’s a challenge to find clips that are appropriate for a PG-13 audience, but check out this scene from 1994’s “Pulp Fiction.” The dynamic between Vincent (John Travolta) and Mia (Uma Thurman) is immediately clear when she cuts off his protest with the reminder that he has been directed to do whatever she wants: “Now, I wanna dance; I wanna win. I want that trophy, so dance good.” Her dominance continues as she does the talking for both of them when they take the stage. Why this works: Mia’s aggressive dialogue is matched by Vincent’s monosyllabic responses. The pauses and body language throughout the scene take on as much meaning as the spoken words. A challenge for you: Write a scene where one character wants something from another character. William Goldman’s screenplay for “Butch Cassidy and the Sundance Kid” (1969) is full of great back-and- forth between Butch (Paul Newman) and Sundance (Robert Redford). He also includes some great ensemble scenes, such as this one where Butch and Sundance reunite with the Hole in the Wall Gang and find there has been a challenge to Butch’s leadership. Why this works: There is humor and dramatic tension layered throughout the scene. From News Carver (Timothy Scott) wanting to read his own name in the paper to Harvey Logan’s (Ted Cassidy) insistence on settling the issue with a fight, the scene has crisp dialogue that reveals character and advances the plot, while cementing the bond between Butch and Sundance. A challenge for you: Write a scene with three or more characters trying to solve a problem — make sure each character is unique. “It Happened One Night” (1934) is a classic template for romantic comedy that works because of the smart screenplay by Robert Riskin and Samuel Hopkins Adams as much as because of the chemistry of the leads. The Screwball Comedies of this era usually matched a middle class character with a higher class character and “It Happened One Night” pairs a rough newsman with an heiress. In this scene where Peter (Clark Gable) and Ellie (Claudette Colbert) are hitchhiking, her cool wit undermines his gruff confidence. Why this works: Ellie doesn’t speak many lines, but each one is sharp and cuts right through Peter’s bluster. He may have confidence, but she has brains. Their exchanges help establish the growing attraction between them. A challenge for you: Write a scene where two characters are attracted to each other, but refuse to acknowledge it. 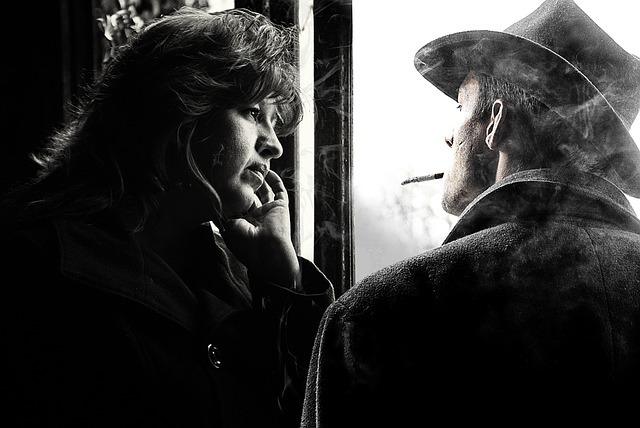 Guy Ritchie’s films have dialogue that is as fast and twisted as any of the action scenes in them. His 1998 film “Lock, Stock and Two Smoking Barrels” opens with a street hustling scene featuring Bacon (Jason Statham) who delivers his lines in a rapid-fire manner that would leave most actors breathless. Bacon has a crowd gathered around him and he’s trying to sell hot wares with the help of another hustler planted in the audience. Bacon’s eyes move as quickly as his mouth as he tries to find the suckers in the crowd. Why this works: The scene quickly establishes Bacon as a small-time con who is always looking for an advantage and an escape route. A challenge for you: Write a scene where a character has a minute and a half of sustained, uninterrupted dialogue. The screenplay for “Jaws” (1975) was written by Peter Benchley and Carl Gottlieb. The scene where Quint (Robert Shaw) describes surviving the sinking of the USS Indianapolis in the sea between Guam and the Philippines is intense and frightening because of Shaw’s masterful delivery and the sharp details of Quint’s story. Why this works: The scene is a very primal one, calling to mind the stories told around a fire on a dark, moonless night. The details about shark’s eyes and Quint’s shipmates bobbing lifelessly in the water are told in an unflinching, matter-of-fact way that helps the viewer picture the scene. A challenge for you: Write a scene where a character reveals a trauma from their past. “Mean Girls” (2004) is full of scenes that are simultaneously funny and revealing. In this scene, Gretchen (Lacey Chabert) tries to explain her friendship with Regina (Rachel McAdams). Gretchen’s anger and insecurity bubble up through the surface as she suffers from yet another humiliation at the hands of Regina. Why this works: Tina Fey’s script mixes exaggerated teenspeak, manic energy, and characters who are realistic enough to be recognizable even when their situations and reactions are distorted for the sake of comedy. A challenge for you: Write a comic scene where a character has an exaggerated reaction to a situation. There are hundreds of other examples of great dialogue in film from every genre and era — when you watch a film, listen to how the dialogue functions and keep an ear out for models you can use for inspiration in your own writing. As you watch your favorite show or film, stop and ask yourself what is happening in the scene — and then try writing that action yourself. Want to know more about writing dialogue? Check out NYFA’s How to Write Dialogue in Film or How To Write a Phone Conversation in a Screenplay. And apply today to attend NYFA’s Screenwriting School. In the second part of this series, we’re bringing you six more (one is a husband and wife team) industry insiders who are blazing trails in the field. 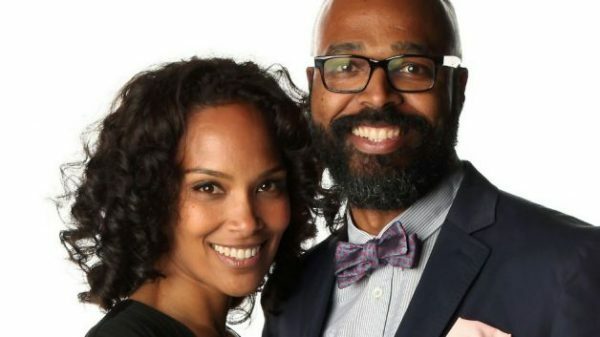 Mara Brock Akil and husband Salim are no strangers to television, with each respectively boasting a list of writing credits that include writing credits on ‘90s hit tv shows like “Soul Food,” “The Jamie Foxx Show,” and “Moesha.” This duo has proven to have a winning formula for Hollywood success, having created and written other longstanding hits like “Girlfriends” and “Being Mary Jane,” which stars Gabrielle Union. In fact, their formula is so potent, that the couple most recently inked a multi-year development deal with Warner Bros. Entertainment. This multi-hyphenated artist (actor, writer, singer, songwriter, rapper, comedian) who also goes by the stage name Childish Gambino is a graduate of NYU’s Tisch School of the Arts, with a degree in dramatic writing. He has taken the industry by storm. 2016 proved to be a big year for Glover. He was cast in“Spider Man: Homecoming,” and debuted his series “Atlanta,” which follows a Princeton University dropout trying to make a name for himself in the music industry. The show, which he created, stars in, writes, and executive produces, has already met rave reviews in its first season — and was awarded a Golden Globe for Best Music or Comedy TV Series. Writer and producer Kenya Barris is no stranger to television. The creator of several shows including “America’s Next Top Model,” he also co-created and co-produced and “The Game.” His most recent series, “Black-ish,” chronicles a black family living in an upper-class and predominantly white neighborhood, and has received critical acclaim — as well as a Golden Globe win for lead actress Tracee Ellis Ross. Ross was the first black woman to win the award since 1983. Mr. Barris’ work behind the scenes has been meant working up the ranks from staff writer on shows like “Soul Food,” “Are We There Yet,” and “Girlfriends,” to producing. Now, Barris has added director to his already impressive list of credits, having directed episodes of “Black-ish” just this past year. Former staff writer for “Heroes” and “Sons of Anarchy” Misha Green, together with fellow “Heroes” writer Joe Pokasky, created the WGN hit “Underground.” This is a true-to-history thriller about a group of slaves planning to escape a Georgia plantation. The show, soon to be in its second season, and for which Green is also executive producer, boasts a score by R&B crooner John Legend, and has been hailed as a harrowing portrayal of plantation life and the journey to freedom for thousands of African-American enslaved people. In 2016, it was announced that Prince-Bythewood would direct an adaptation of frequent NY Times contributor and author, Roxane Gay’s “An Untamed State,” with whom she would also co-write the script. Which industry trailblazers have made your list of inspiration during Black History Month? Let us know in the comments below! NYFA: What makes the craft of screenwriting unique from all other forms of writing? Adam Finer: Screenwriting is the blueprint for a uniquely visual form of storytelling. Without that strong blueprint, nothing gets built. Motion pictures, television series and web series all require storytellers who can visualize the world and create three-dimensional characters that drive a compelling and engaging story that can be told on-screen. Nunzio DeFilippis: Two things make it unique. The first is that a finished script is not a finished product. It’s only meant to guide in the creation of a different finished product (a film, or TV episode). NYFA: What inspired you to become a screenwriter? AF: I have been working with screenwriters for nearly 20 years now, helping writers develop their material, unearth characters, discover story worlds and find their personal voices. Those are some of the things that drive me. My mission is to help creative artists, and especially screenwriters, uncover the tools and skills to achieve their goals and find success in their chosen fields. 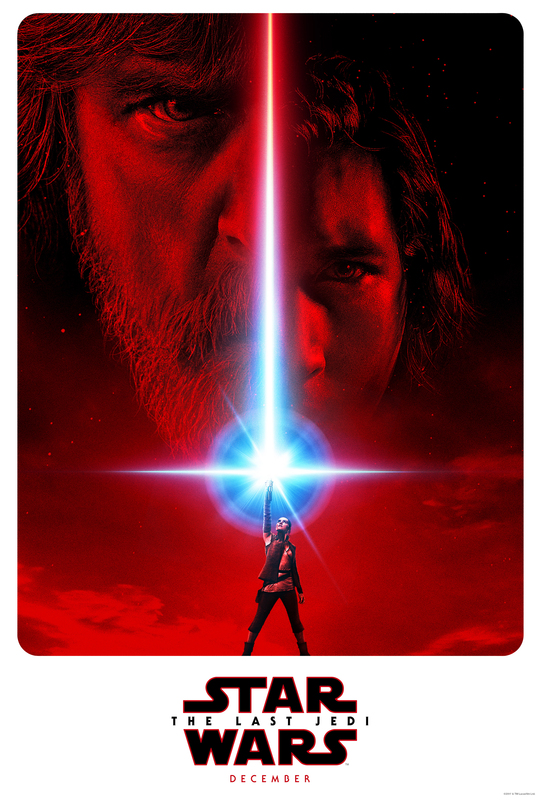 NDF: Watching “Star Wars.” When I saw that movie (I was seven when it came out), I knew I wanted to write movies. I did have some variation — thinking I might act as well as write — but I knew from seven years old that I wanted to write, and it had to be movies. Melanie Williams Oram: I am a screenwriter because I love to tell stories. I decided to pursue a career in film and television because I am committed to telling stories that feature women, people of color, and other minorities and that celebrate the universality in diverse experiences. 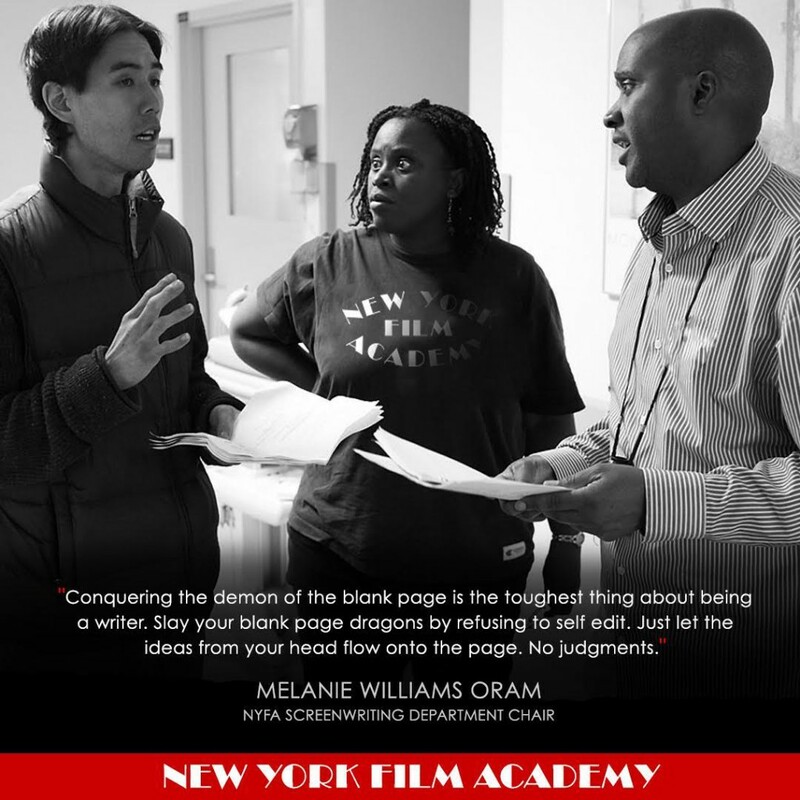 NYFA: What do you see in your students today that is new in the field of screenwriting? AF: Our department has a strong emphasis on finding the right medium for your story. It’s one of the reasons that our degree students learn about New Media or Transmedia storytelling. Our students are being prepared for the changes in the industry and are learning to create stories in the medium that best supports them. NDF: Younger writers don’t view the storytelling world in the same limited way that my generation did. When I went to film school, none of my classmates wanted to take classes on TV. It was beneath them, as they wrote films and only films. Students today are drawn to TV, but even better, see themselves as able to jump between the two forms. There is some resistance to other forms of visual storytelling (like web series and comic books) at first, but only from some of them. Many students are not only able to jump between film and TV, but they’re ready to tackle these new forms. I love their open-minded approach, and I think it serves them well. NYFA: What’s one thing everyone should know before starting a screenplay? AF: Understanding screenplay structure and format are essential for people in the industry to be willing to read your scripts. NDF: What they want the story to be about. Why are they writing it? Why is it important to them, and why are they the person to write this story? If you don’t know what you’re writing about, and if you don’t connect with it, the work of creating a feature film script (or the entire world of a TV pilot) will be too much. MWO: Conquering the demon of the blank page is the toughest thing about being a writer. Slay your blank page dragons by refusing to self-edit. Just let the ideas from your head flow onto the page. No judgments. NYFA: What makes a great screenplay? AF: There are so many elements that go into a great screenplay. Well-developed and defined characters. A unique, yet relatable world (and unique doesn’t have to mean another planet, it can be a local sports story but from a perspective that’s unique). Strong dialogue that feels believable for the characters. The writer’s voice coming through in a story that they felt needed to be told. NDF: Characters who want something, and who face real stakes if they fail to achieve it. The greatest mistake I see in students and young writers is creating characters who are apathetic and want nothing. That’s a very hard character to hang a story around. Characters who want to be left alone have to pursue that goal as vigorously as other characters pursue their goals. And even if they do, their stories risk a lack of connection to the audience. What we connect to as audiences is desire. Evil characters can still be compelling if the things they desire resonate with us. Characters we have nothing in common with can generate empathy if we have something in common with what they want or need. Always build your story around this basic template: “Someone wants something and something or someone gets in their way.” Then add consequences for failing to get that something (and not always physical ones, emotional ones will do) and you’ll have a story. MWO: People connect to stories because they are able to identify with protagonists. There’s a common misconception in Hollywood that people can only identify with film characters who look like them. I believe that films with strong stories that explore human themes can connect people across racial and gender lines. Good stories make audiences forget that they are watching a film. Good stories allow audiences to become completely immersed in the struggles and the triumphs of the protagonist. Thank you to our Screenwriting School department chairs for sharing their insights with the New York Film Academy community! To learn more about the Scriptwriting track at NYFA click here.